The BEST!I am more than happy with my purchase! They kept in constant contact with me to ensure that my purchase was exactly what I wanted with prompt responses to ALL email inquiries. The magnets had a slight pearly look to them when viewing up close, and the foil was absolutely beautiful. I live in Bermuda and the package took about 2 weeks to arrive on the Island, which is quicker than most due to the normal relaxed international shipping rates. I will order again without hesitation! 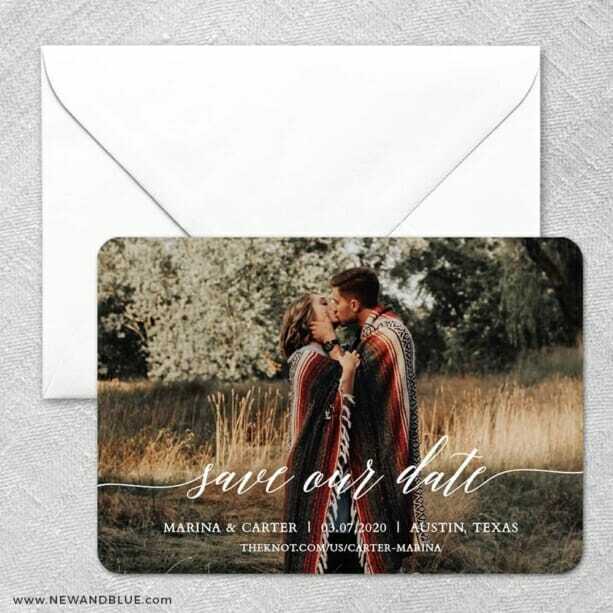 Loved my save the dates!I absolutely loved my save the dates. I was surprised with the quality of the material. I thought that they were going to be printed on a matte finish, but there is a very nice finish to the magnet. Cannot wait to hear what my guests think! Amazing!! !The quality is amazing!!! I felt proud to send them to my guests!